The purchase of real estate is for most of us a huge decision. It involves a significant amount of finance and is often the one thing we go on paying for over many years. The thought that you would buy a property which turns out to have faults and major faults at that doesn’t bear thinking about. We all make mistakes and the well-known saying of ‘let the buyer beware’ is right on the money. So, to avoid making a mistake, engage a professional company to carry out a property inspection BEFORE you sign on the dotted line. Most of us don’t rush into a property sale. We go to the house or apartment when it is open for inspection. We may even go on a virtual tour online and test the waters. Then we make an inspection and we like what we see. Even a second inspection with friends and family might be on the cards. Then we decide. This is the place for us. But stop. That is now the time to engage the professional building inspector Adelaide. Remember they are working for you. Not the vendor and not the estate agent. The inspector is on your side. What are they looking at and for? Your inspector will look for both major and minor defects. 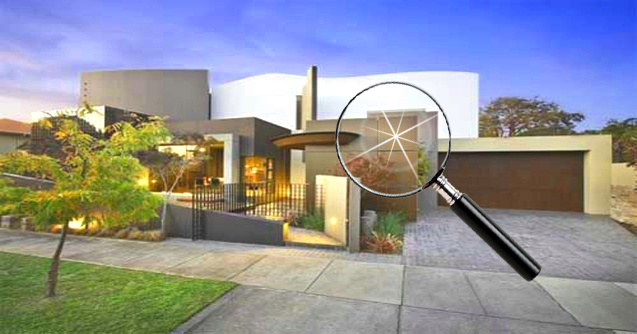 The advantage you have with a professional inspector is (a) their experience at property evaluation and inspection and (b) their knowledge of the construction industry. These are people who know what to look for and where. From the foundations to the roof, and everything in between, all aspects of the chosen property will be subject to a rigorous examination. The report you receive details every fault which has been discovered plus information about potential problems down the track. You get an expert evaluation from an expert inspector. Most likely you plan to live in the property being inspected. But what if you plan to extend the building or even demolish it and start again. This is where a top-notch inspector really gives you the upper hand. There might be problems with your plans. You could save yourself a lot of money, hassle and worry by discovering what might be ahead. Tell your inspector your plans and get the information you want and need to have before you go ahead. Ask your inspector about a dilapidation report and give yourself the peace of mind for your future. There are many things your new property might have wrong and many defects can’t be seen by the untrained eye. Termite infection, rusty plumbing and dangerous wiring are just three of the possible potential problems. What about older properties and a failure to follow building codes? Problems in construction years ago can be the basis for a nasty surprise after you make the purchase. Avoid all such worries by engaging an experienced and qualified building inspection Adelaide company. You’ll be confident once you get a positive report and feel a great sense of relief if the report is damning.